Join the World Space Party and raise a glass for Yuri’s Night. 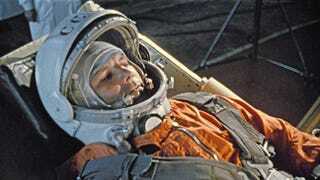 Cosmonaut Yuri Gagarin boldly went where no man had gone before this day, April 12 in 1961. Twenty years later the first space shuttle mission launched on the same day - the first of 27 missions flown by the fateful Columbia.